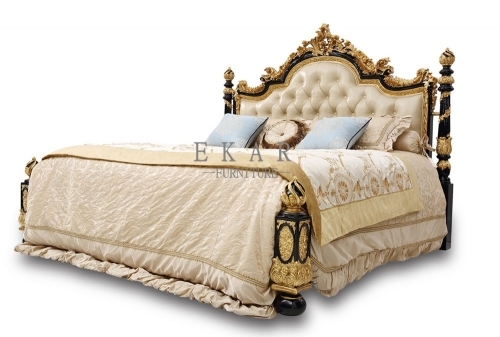 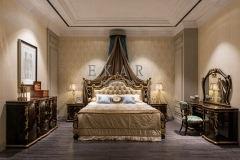 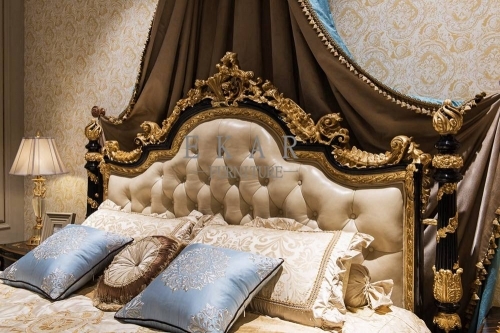 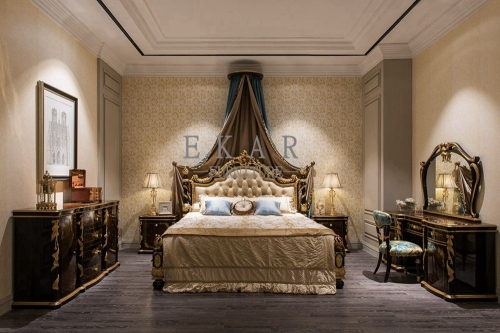 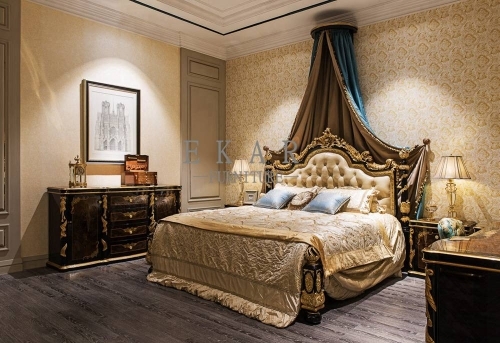 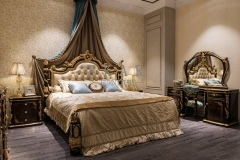 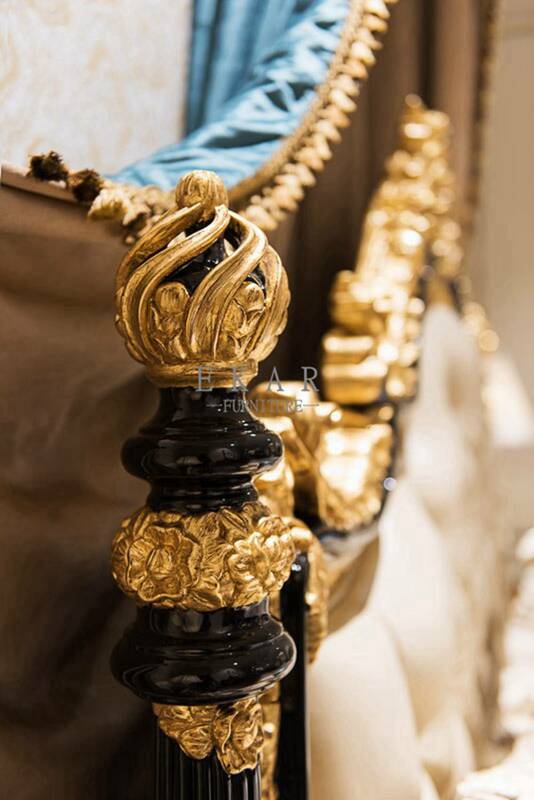 This bed is Ekar masterpiece, we have given the best technology, 24 k gold foil craft, 130 hours of artificial carve patterns or designs on woodwork, for decades if brightness is new color, part of the framework we use the high density fiberboard for piano lacquer that bake. 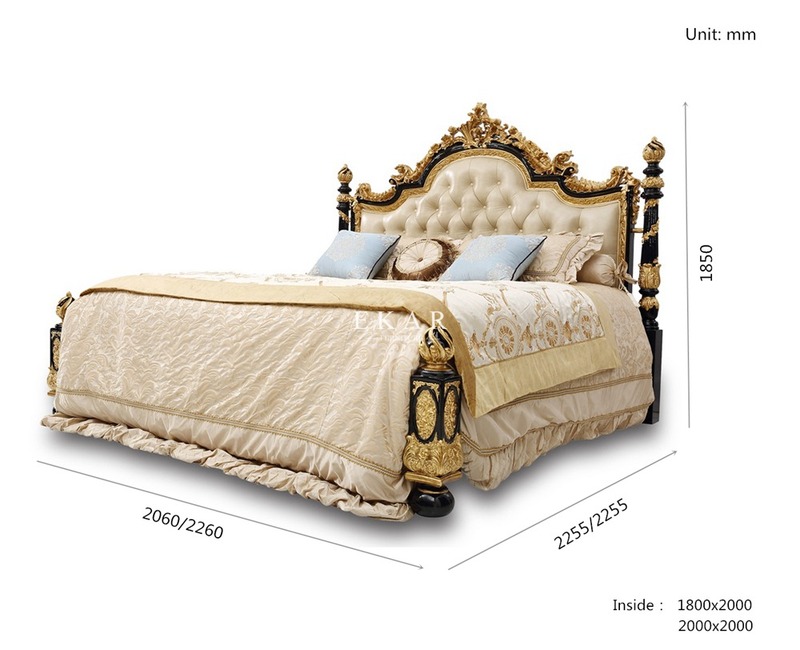 At the same time, the leather from Japan is used to make the comfort of the back lift to a new height. The overall style is extremely luxurious.